We offer two types of mountain biking holiday: guided and self-guided. Each with their own unique appeal, both with tons of epic singletrack, natural trails and warm hospitality included. You just need to add flights to Milan and Zurich.We'll even pick you (and your bike!) up! You'll be picked up every day from your Livigno hotel and expertly guided around the hundreds of kms of spectacular alpine trails accessed via the lift system and you'll even get an overnight stay high in the mountains in our alpine hut! We'll sort out the lift passes and best routes so you just need to turn up and enjoy the ride. Livigno is unique in its location so can be used as a base to enjoy riding through Austria, Switzerland and Italy. 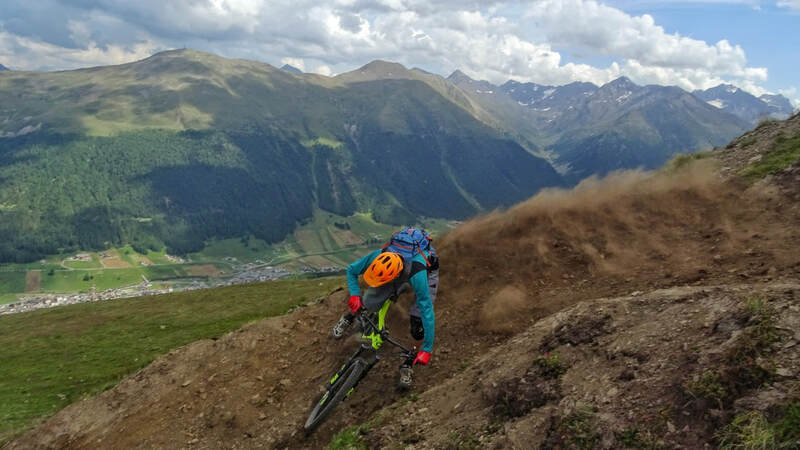 Either start or finish your holiday in Livigno and spend three days riding spectacular natural singletrack on this epic trip with the option to join a guided trip on these days. Luggage transfers and hotels along the route included.